Do your feet hurt after walking? Do you have difficulty finding shoes that are supportive and cute? 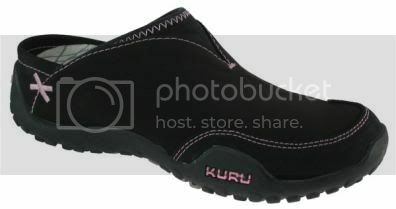 Kuru shoes is your answer for sporty and extremely comfortable shoes ! I have not tried these shoes but even just looking at them - you can tell they are comfortable! They have many different styles for both men & women. They have shoes that have a higher rise and that are a little rugged and have more of a hiking boot style to them, they have regular low rise walking shoes, and they have slip on/clog style shoes. 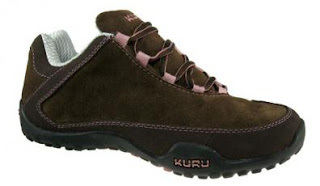 Kuru Shoes are the best rated walking shoes and the World’s Most Anatomical Active Walking Shoe. Their patent-pending KuruSole midsole has a high-quality, thermoplastic orthotic molded into the midsole. This orthotic offers arch support walking shoes with out-of-the-box fit and comfort. They combine this orthotic with a custom molding footbed insole. As a result, you get custom molded fit on top, with the support you need underneath, making Kuru the Best Walking Shoe available. * Lightweight - The best Kuru walking shoes weigh the same as many lightweight, performance running shoes. * Full Rubber Outsole - all Kuru's feature a cupped rubber outsole construction for superior durability and performance. You don't need to worry about sections of your outsole peeling off! *Your favorite pair of Kuru Shoes! You have until Monday, November 9 @ 9pm EST to enter! (Winner must respond within 48 hours.) Giveaway open to U.S. & Canadian residents only. they would be SO perfect for work!!! here's the link to my post linking your giveaway! I LOVE these - Kruzr II - Womens - Blue. My husband has trouble finding comfortable shoes-he likes the Mens Rapid Shoes in java/boulder color. These shoes look so fun! I like the Halcyon Women's shoes in Java/Olive. I feel like these shoes are so....vogue or something~:-) Thanks for the giveaway! 1. Follow u on blogger! I love Draft, they just look so comfy and easy to hop into. I follow your blog and my contact ifo is in my blogger profile. I love the women's Chicane shoes in chocolate color. love the draft in black! My favorite pair is the Draft - Womens - Blue. Thanks for the giveaway! I entered your Terry Peacoat by Shade Clothing! Giveaway. Thanks! entered your shade clothing giveaway! I follow you and Kuru Shoes on Twitter. I am a Frugal & Fabulous Facebook FAn. Thanks! I am a Kuro Footwear Facebook Fan. I love the Cirque in black or brown. I subscribe. Very Cool! I like the "Swift" black pair the best! I would buy the Chicane women's in choclate. I became of fan of you and Kuru on Facebook as well. I love the Chicane in Java/Capri... so great! I entered the Terry Peacoat giveaway! My favorite is the Chicane Womens shoe in chocolate color. I love the chocolate colored ones. The shoes look very comfortable! I like the Chicane in Chocolate. I'd love to win the Slipstream! I think my favorite would be the Draft in black, the color was a tough choice I really like the orange. LOL!. I love shoes that I can just slip on and go. Following @Kuru_Footwear and @lindsfrugalfab on Twitter. I enjoy walking most morning, and I could really use some new walking shoes. Mine are looking really ragged! b_boo@yahoo.com, Amber Campbell. I also follow on facebook! Amber Campbell. I love the Chicane - Womens - Orange shoes! I've entered the Shade giveaway. I'm a fb fan of Frugal & Fabulous. 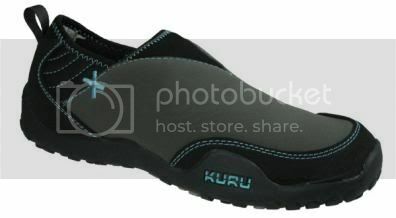 I'm a fan of Kuru shoes on facebook. I have heard about these shoes! I am in nursing school and could really use a pair. My favorite ones are the Halcyon - Black. Those look pretty comfortable. I would like to try a pair in the Draft style, since I have foot problems. I linked to this giveaway from my blog. I like the slipstream best. I became a fan of Frugal & Fabulous on facebook. I also entered the pea coat giveaway. 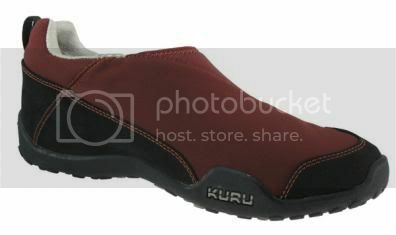 I became a fan of Kuru Footwear on Facebook. i am following you on here!! I like the Chicane - Womens - Chocolate (and the Rapid shoes!). These look sooo comfy! I tweeted about this! Would love to win a pair of the lace ups! my favorite Kuru shoe is the draft! I entered your Shade giveaway yesterday! I love the Chicane Kuru shoes! I follow frugal and fabulous! I entered the shade giveaway! always had a problem with ill fitting shoes. I hope this shoes works for me. I love the slipstream womens/gray. I like the Draft women's shoe in Black. It was a tough call, but I like the Draft-Womens-Orange Kuru shoes. I have a link to your website on my blog. I love the Halcyon shoes. They look like they would be great for hiking. I love the Halcyon - Womens - Java/Olive, thanks!